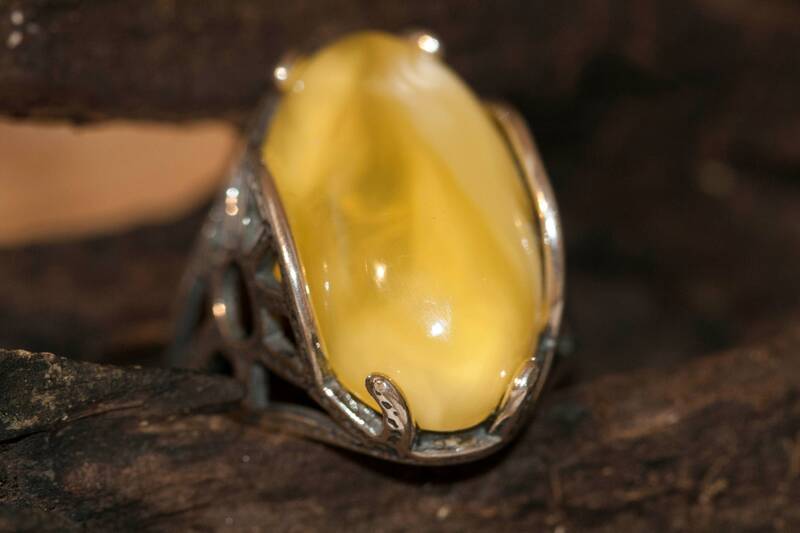 Milky amber ring. 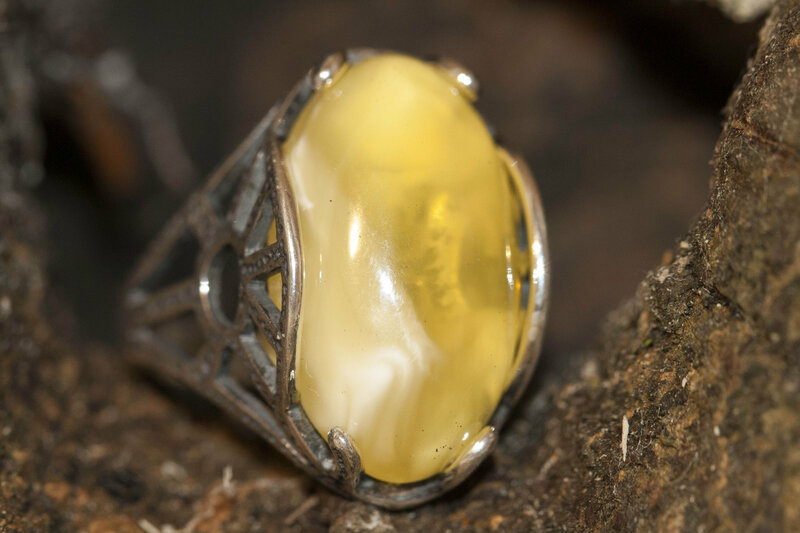 Large milky amber ring. Modern design. 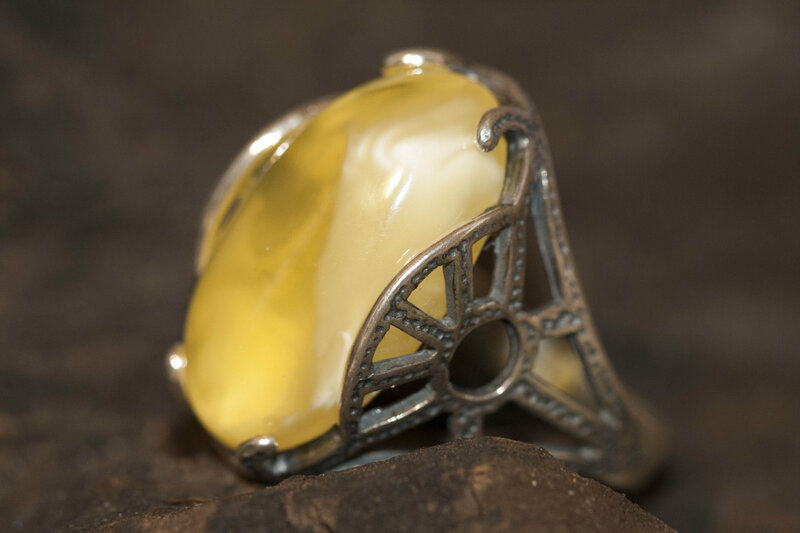 White amber ring. Statement ring. Big ring. 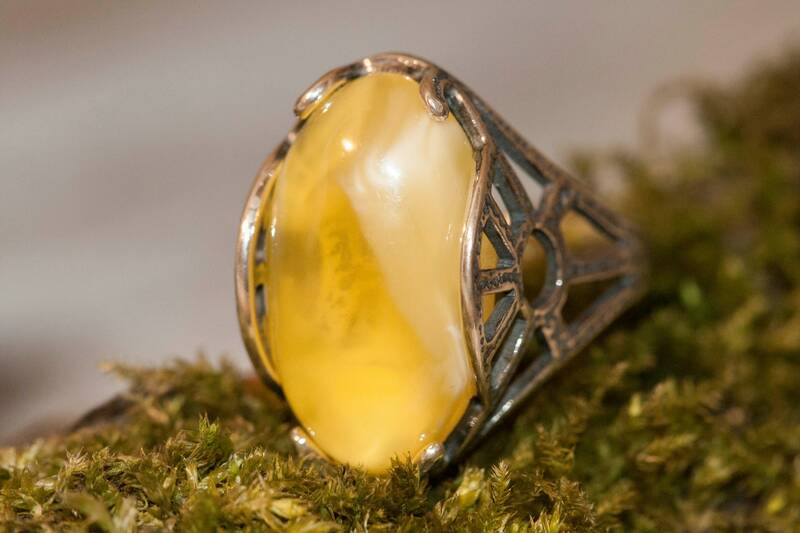 Unique ring. 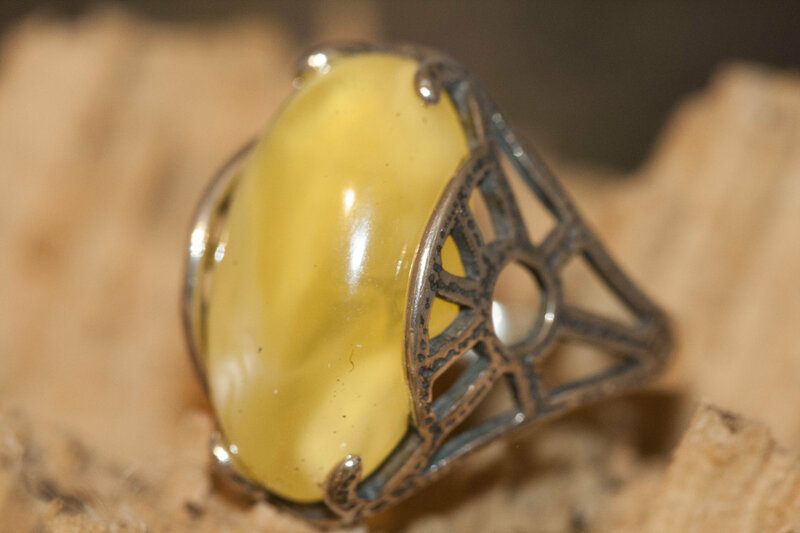 We are excited to present large sterling silver ring with milky type of amber. Eye shaped amber. 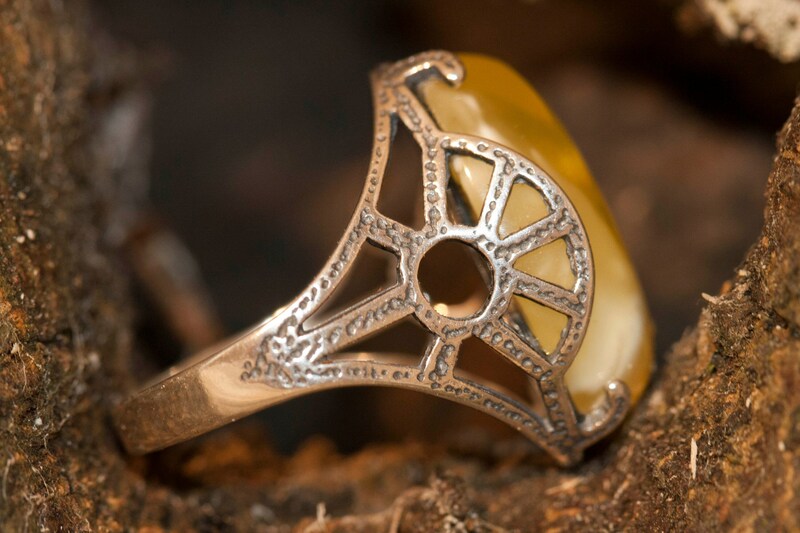 Celtic style of design. Different and elegant ring perfect for everyone. Size of design : 23 mm length, 17 mm width. 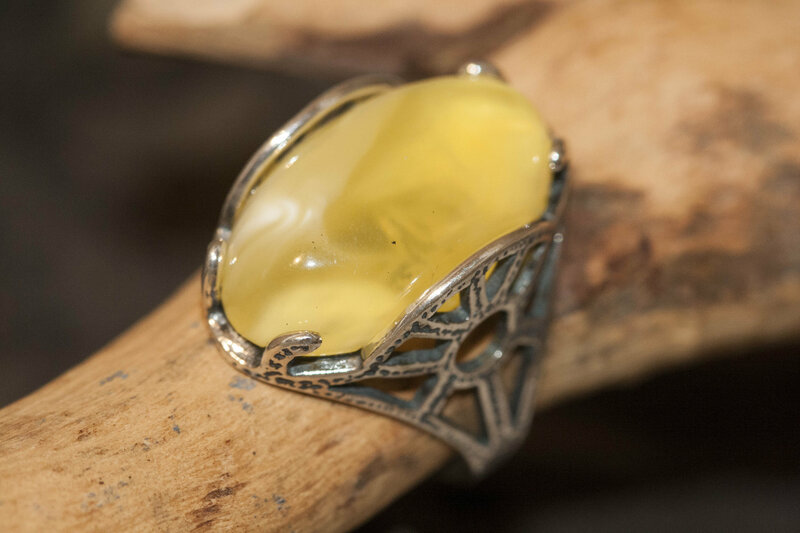 Perfectly polished milky type of Baltic amber set in 925 sterling silver setting.